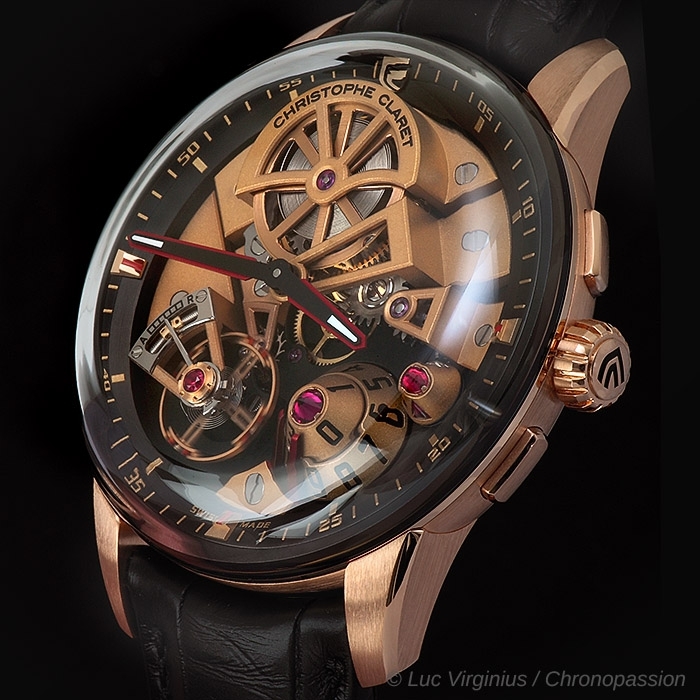 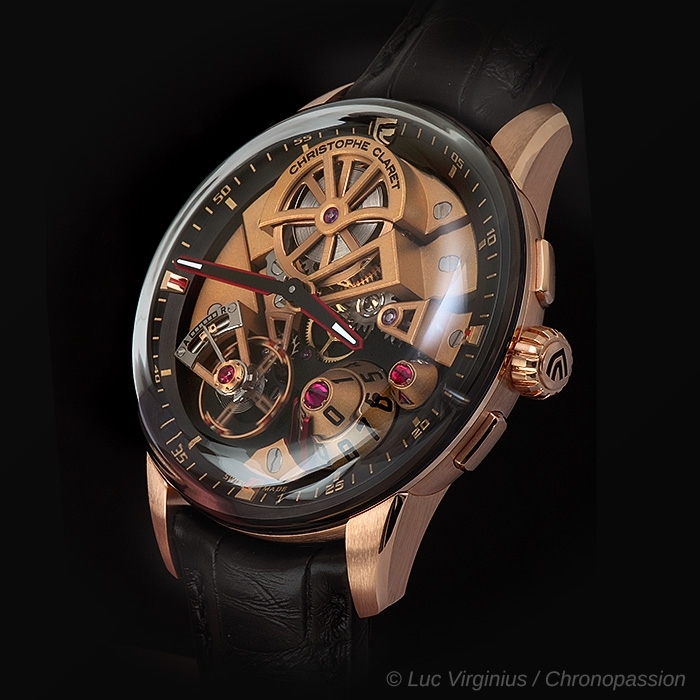 Christophe Claret | 86'900 € Tax inc. 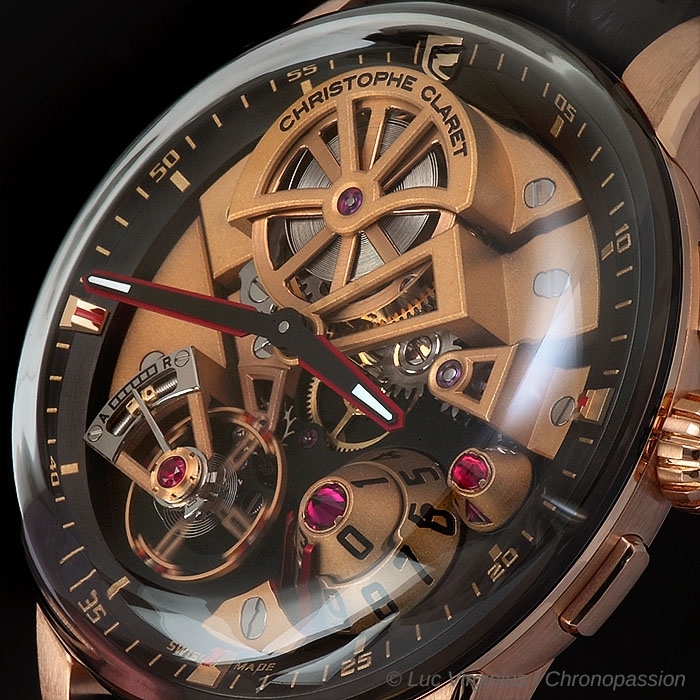 The 42mm case – the smallest diameter in the Christophe Claret collections – in grade 5 titanium or 5N pink gold asserts its style with a curvex shape that accentuates its trim design. 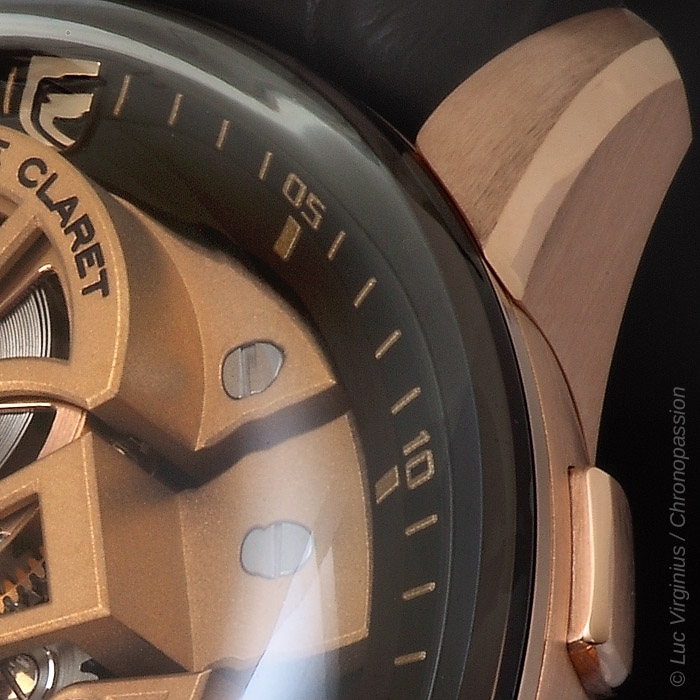 The choice of a glass dome to serve as a bezel provides a whole new perspective on the movement. 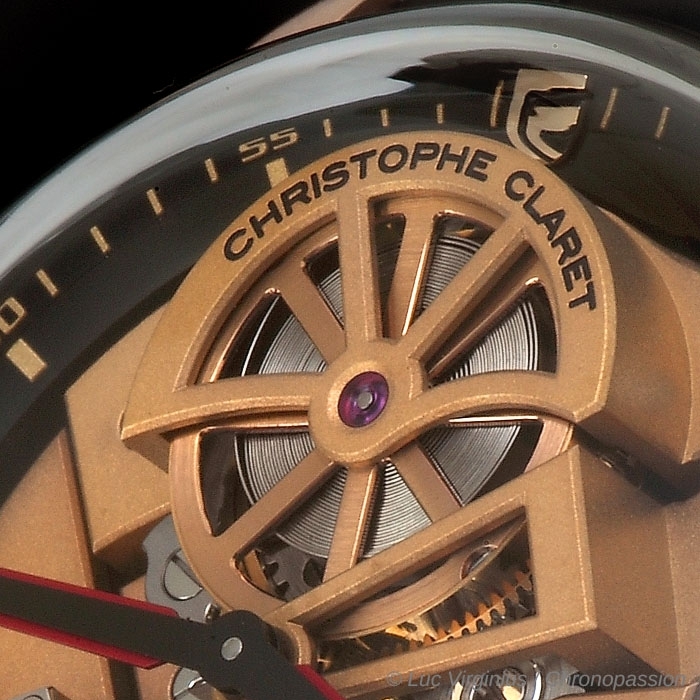 Christophe Claret is a natural-born anti-conformist who never misses out on a chance to express his creative audacity through original displays running counter to traditional design codes. 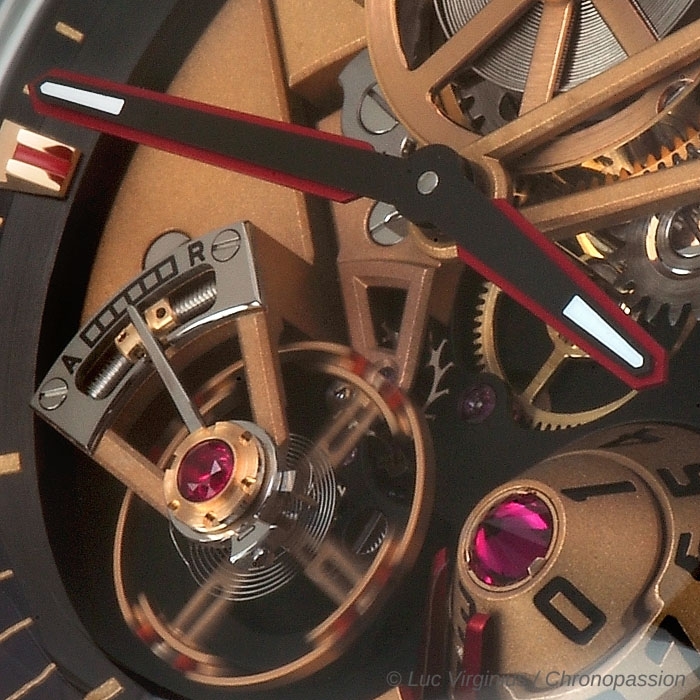 Witness the large date that the watchmaker has cleverly placed at 5 o’clock. 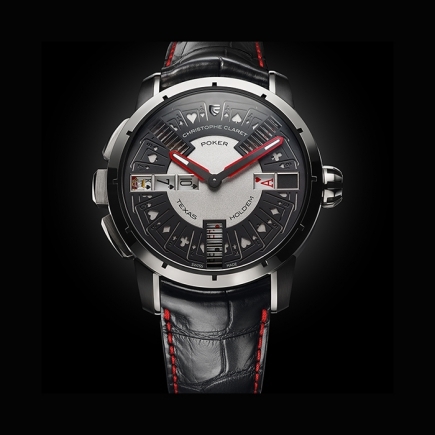 Composed of two cone-shaped aluminum disks, one for the tens on the upper part and the second for the units, this patented large date display performs a semi-instantaneous jump between midnight and twenty past midnight. 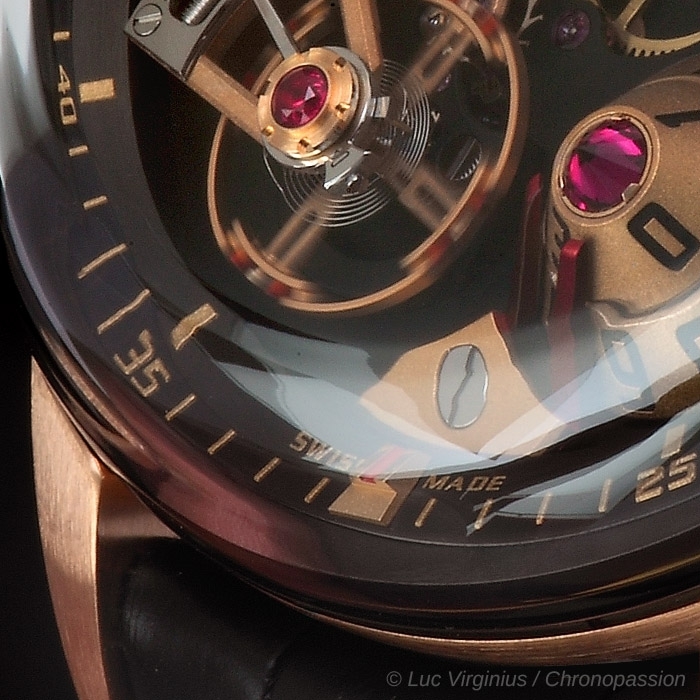 As if to echo the 3D effect of this voluminous date display, another cone shape – topped with a sapphire or ruby – draws the gaze to the space between 3 and 4 o’clock. 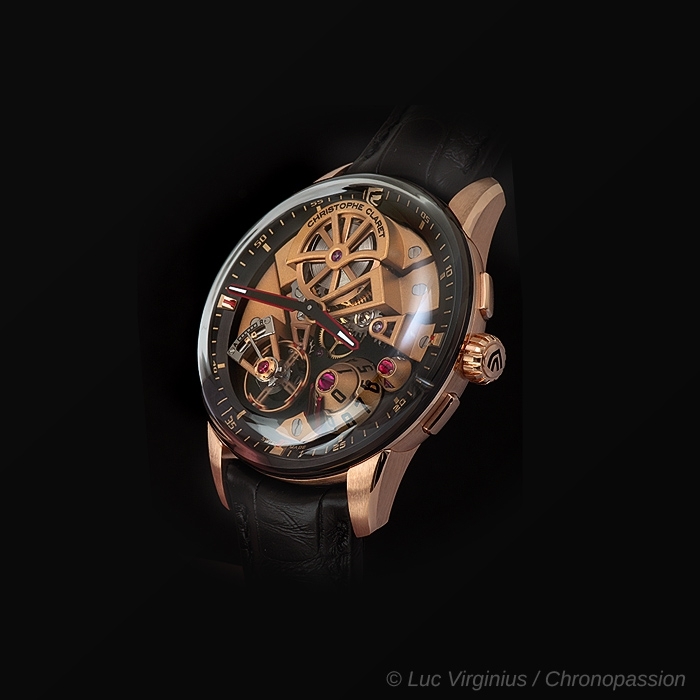 Never one to stint on playful complications liable to fire the imagination of watch connoisseurs, Christophe Claret unveils here another brand-new function. 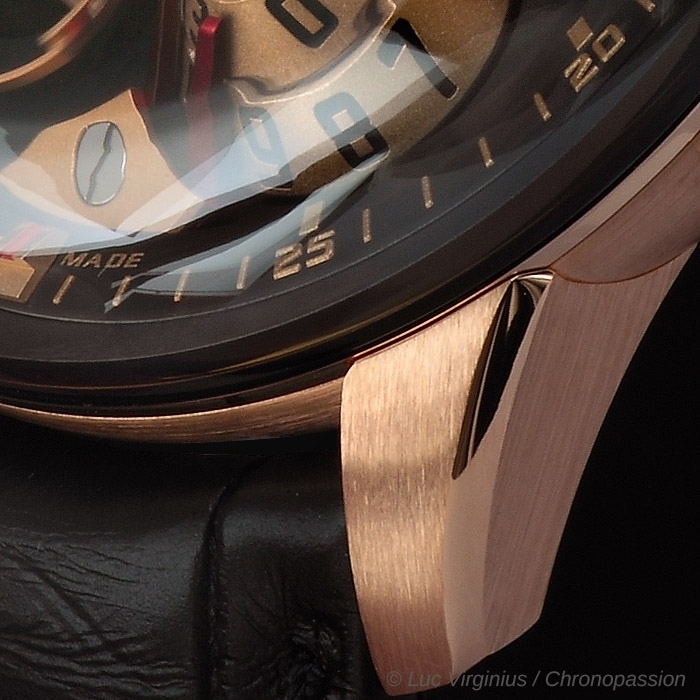 Inspired by the expression “tie a knot in your handkerchief” to help one remember something important, MEMO is an ingenious mechanical reminder intended for absent-minded individuals as well as fans of technical gadgets. 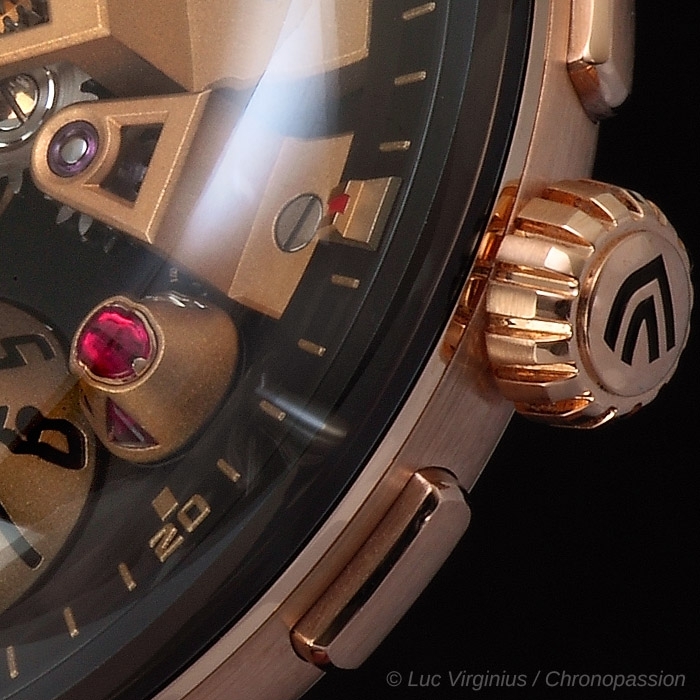 Maestro is available in 5N pink gold or grade 5 titanium and both versions are issued in 88-piece limited editions.